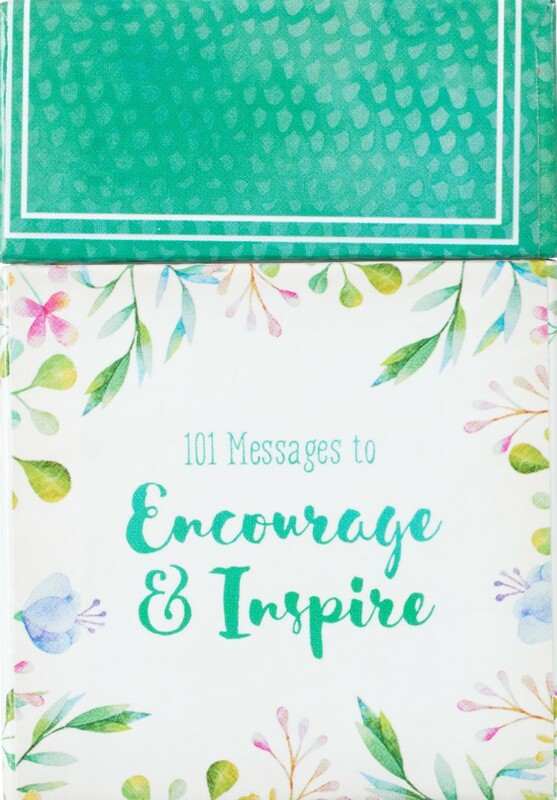 With these 101 beautifully designed cards bearing verses from the Bible, you will be encouraged to live out your faith. Looking for a faith-based pick-me-up? Designed with the intent to encourage and inspire others, these cards are the perfect reminders that God is always near. With scripture taken directly from the Bible, these cards are an excellent way to spread a little encouragement to anyone. Whether given as a gift or for personal use, these cards are the perfect addition to the person looking to constantly stay immersed in The Word. 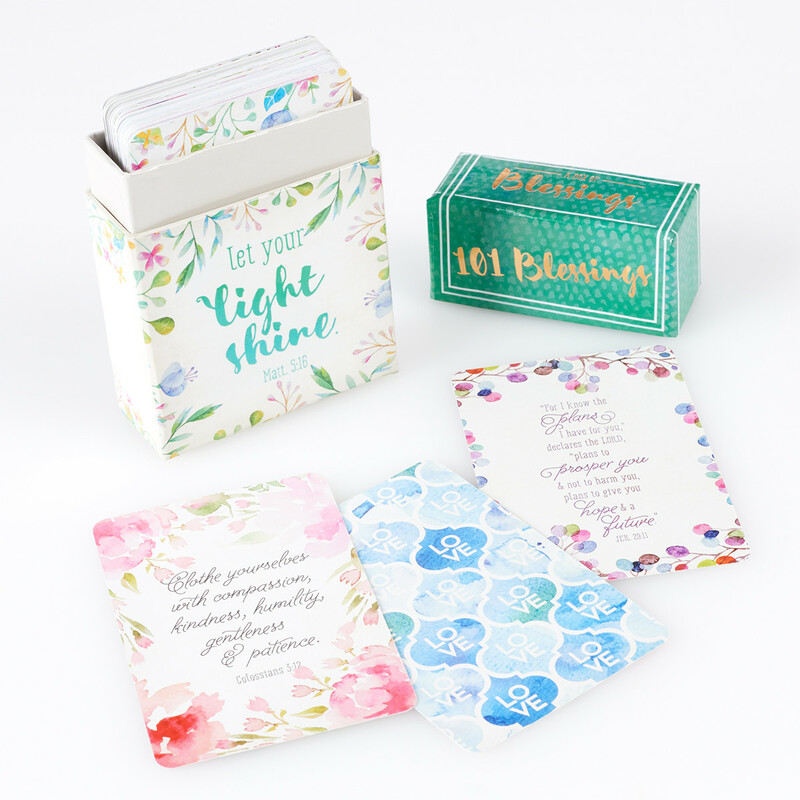 Each card has been beautifully designed with floral watercolors and has a scripture verse on front and back. Conveniently packaged in a small reusable box, you can keep these cards in your car, office or with you on the go. 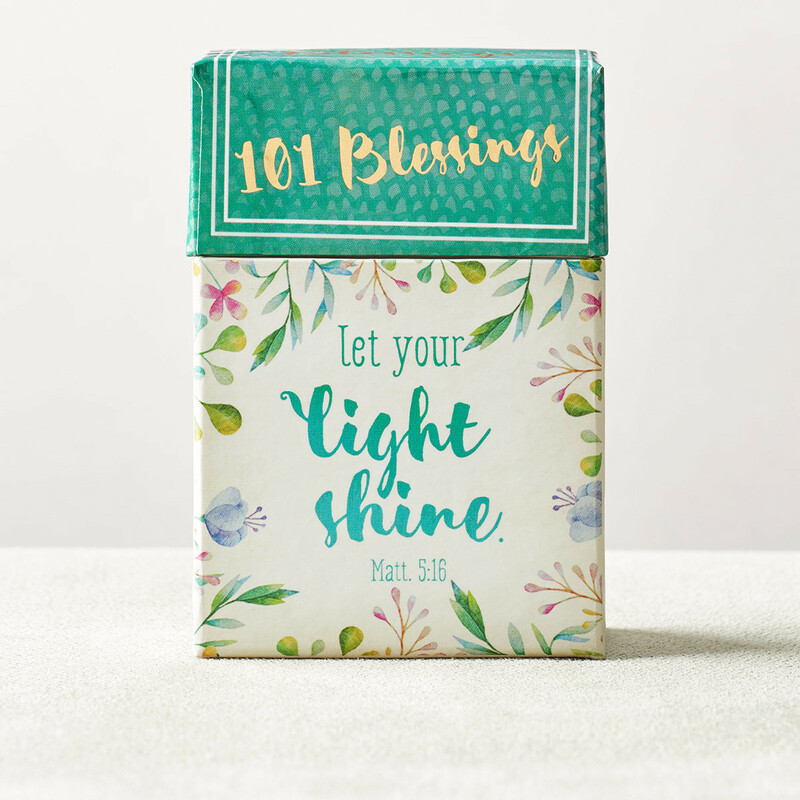 Let Your Light Shine 101 Blessings by Christian Art Gift was published by Christian Art Gifts in December 2016 and is our 596th best seller. 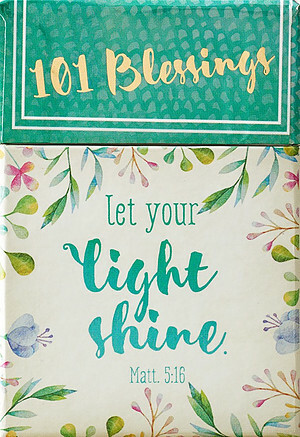 The ISBN for Let Your Light Shine 101 Blessings is 6006937135086. 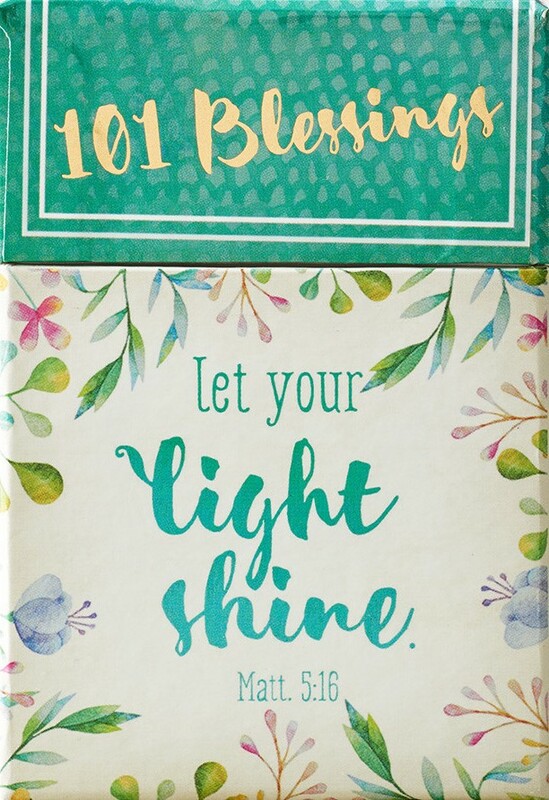 Be the first to review Let Your Light Shine 101 Blessings! Got a question? No problem! Just click here to ask us about Let Your Light Shine 101 Blessings. A:They look to use NIV. Thank you for using the Q&A Forum.